A dispute ensued between Justice Minister Ayelet Shaked (New Right) and Attorney General Avichai Mandelblit in the wake of Shaked's announcement on Monday that she plans on allowing government ministers to represent themselves to the Supreme Court if the Attorney General refuses to defend the government's position in the next Knesset. 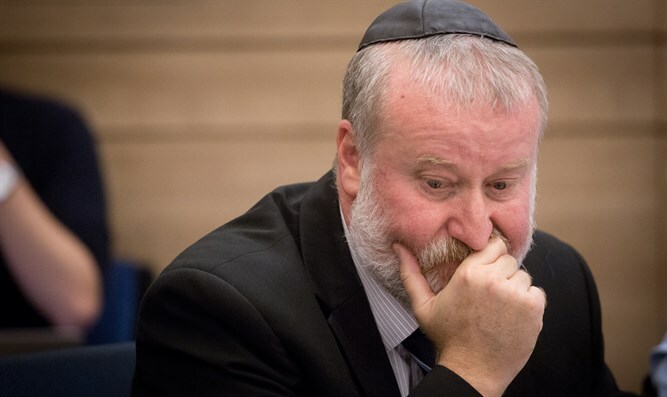 Mandelblit told Shaked, "Your proposal will undermine the status of the Attorney General and rule of the law," according to a report on Channel 12. "Only the Attorney General is authorized to determine what the law is and what position will be presented to the court. That's how it always worked. I always work together with the ministers. Only in a situation when everything is complete, I don't represent to the court, and that happened only a few times in three years." "It's true that you work with the ministers well but there already have been other advisers," Shaked replied. "A situation in which ministers can't bring their position before the court even in exceptional cases is intolerable. If there's a dispute between a minister and a legal adviser, the minister must be allowed to present his or her case to the court. It's forbidden to silence the ministers." "What you're proposing is essentially that a minister or the government will act against the law," Mandeblit replied. "The one who is authorized to determine what is legal and what is not is only the attorney general." "The law did not authorize the legal advisers to determine what is legal and what is not," Shaked responded. "They're definitely not authorized to say what is reasonable and what is not. This is an authority that you took for yourselves. You can't continue to conduct things this way," Shaked asserted. Earlier this week, Shaked announced her "Hundred-day Plan" to revolutionize the judicial system, which she plans to implement immediately following the April 9. Speaking at an economic conference, Shaked said, "We've gathered here to talk about economics, competition, and freedom. But there is no freedom and no competition without governance, and the economy cannot flourish if no one takes responsibility."